Remigration Service is provided in case you need to t conduct your store migration all over again. This happens in case the source cart or target cart wasn’t set up properly, some fields are missing before, during or after the migration, the migrated data is corrupted because of some additional configurations implemented on the target store after the standard migration, etc. In these cases you can request Cart2Cart to start the migration all over again. 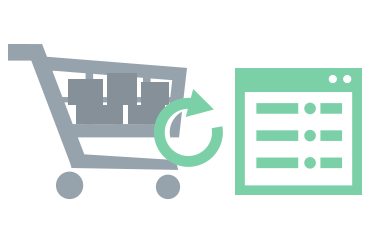 Keep in mind that to be able to implement remigration, Cart2Cart will need to clear all the data that was migrated into your target store during the initial migration. Data clearance is provided as an additional option during the remigration process. Apart from that, remigration can only be implemented if Connection Bridge(es) are installed, just like during the initial migration, and your source and target stores URLs are the same too. Remigration is fully automatic, to use the service, find the needed finished transfer in your Migration List and press the Restart Migration button. You will immediately see the popup message informing you, once again, about remigration conditions and asking for confirmation. Afterwards, you’ll be redirected to the Entities selection page - you won’t be able to choose new entities, but, if needed, you can select which ones not to migrate this time. Same goes for additional options. The cost of Remigration Service is calculated as 50% of the migration price for the number of entities during the initial migration. Note - you can Remigrate all the entities you moved during initial migration, plus 500 new ones. If the number of newly added entities on your source store exceeds 500 - you’ll have to launch another Full Migration. Read more about Remigration vs. Recent Data Migration. To request for Remigration Service, please contact Cart2Cart support center.